Been a long ride to kill this guy! First found his sheds in 2014 as a 2 year old on a place that is in city limits and i can only bow hunt and I didn't start pursuing him until last year. Hunted him hard last year to have one close encounter but never got a shot. Finally decided to try and push a little closer and see if i could figure out where he was bedded back in june. Found a white oak flat above a big pine thicket where I thought he was bedding near and sure enough the first trail camera card pull he was all over it! Set up a stand and got the right wind and went in and killed him the first sit at 5pm. He worked up the edge of the pine thickets to the oak flat and gave me a 30 yard shot. 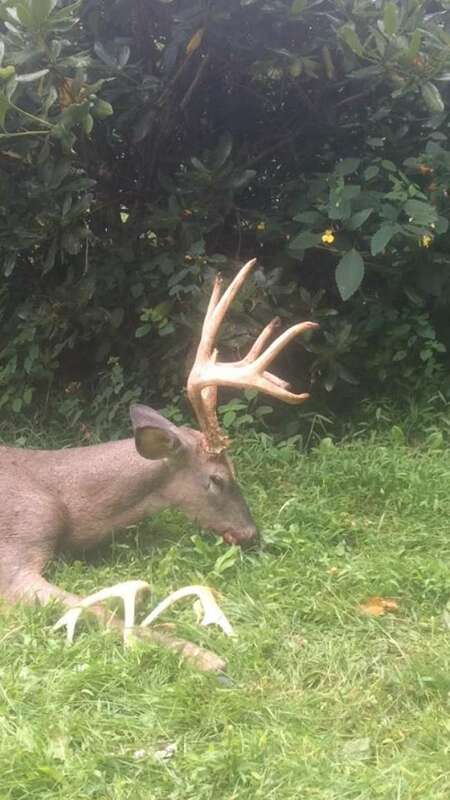 Killed him with my Hoyt Maxxis. Scored 132.